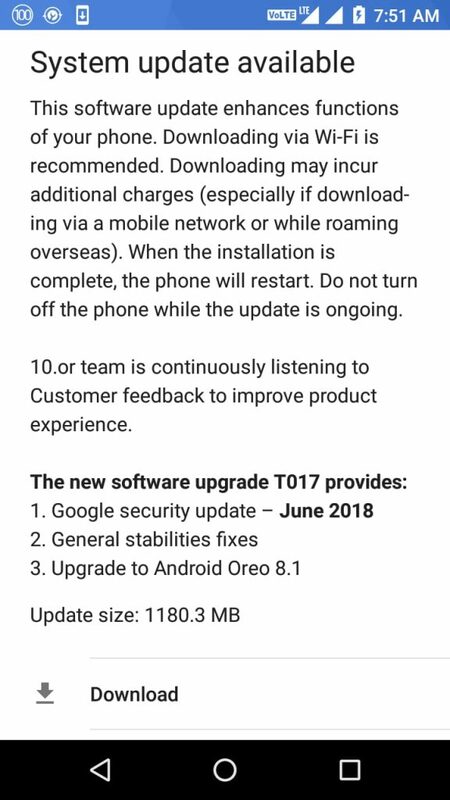 UPDATE: Amazon’s Tenor D is now receiving the Android Oreo 8.1 update with the June 2018 security patch. The update has started rolling out from June 5, 2018 onwards. Buyers, in the past, were forced to buy budget smartphones. These smartphones had weakly processors, little storage, and even little RAM. Nonetheless, with budding competition, entry-level phones got better. Amazon’s 10.or D is an example of the same. Manufacturers are looking to be going in the right direction. The 10.or D is a layman’s Xiaomi smartphone. It has a Qualcomm Snapdragon 425 processor, 2 GB of RAM, and even a fingerprint scanner. You’ll ask what’s price, a mere Rs. 4,999/- or Rs. 5,999/-. Tenor (10.or) is a new newcomer in the Indian #smartphone market. Amazon previously launched the 10.or E and 10.or G smartphones in #India. The 10.or D had been launched through the ‘Crafted for Amazon' banner. Amazon and manufacturers went through its customer insights for better component sourcing. Amazon India has exclusivity over Tenor D. The Tenor D’s starting pricing is pegged at Rs. 4,999/- and the second model pricing is pegged at Rs. 5,999/-. The 10.or D has a basic design concept. There are no noteworthy features to make it jump out. Amazon has used plastic for to body. The back panel has a metallic polish. Amazon’s Tenor smartphone’s color options are Aim Gold and Beyond Black. The 10.or D has a 5.2” screen and dense borders for the top and bottom area. You get the notification LED, selfie camera, and earpiece grille is on top of the screen. This smartphone does not have an ambient light sensor. This results in manual brightness adjustment. The phone uses on-screen navigation buttons. The phone does not have capacitive buttons. The curved edges, compact size, and rounded corners make the Tenor (10.or) D easy for one hand functions. The buttons are on the right hand side, and the power button is above the volume button. Small-handed people will need to stretch their fingers for reaching the power button. The Tenor (10.or) D has fingerprint scanner at the rear. Very few smartphones offer this feature in this price bracket. Amazon’s Tenor (10.or) D runs on Android Nougat 7.1.2 out of the box. You get the 10.or Care app, Amazon Shopping, Amazon Kindle, Amazon Prime Video, and a sound recorder app pre-installed. It is mostly stock Android other than the scheduled on and off option. The smartphone runs minus lags or stutter. For the 3 GB unit, you get about 1.5 GB of RAM free. The smartphone has 4G and VoLTE support on both SIMs. You only get one 4G network at one time. The fingerprint sensor on the smartphone was pretty accurate. Some people might notice a slight delay when unlocking. The 10.or D is a better smartphone when compare to the competition. It has got good hardware. It runs on stock Android. The camera’s performance is average. The fingerprint sensor gives the 10.or D a slight positive over other competitor smartphones. It is a solid option when compared to other smartphones.